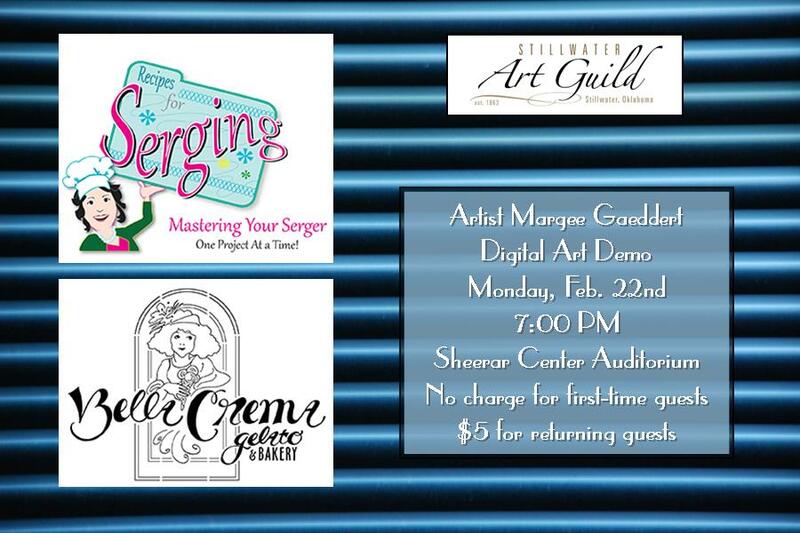 Monday, February 22nd, artist Margee Gaeddert will do a digital art demo. The meeting will take place at 7:00 at the Sheerar Center in Stillwater, at the corner of 7th Ave. & S. Duncan. This entry was posted on February 20, 2016 at 2:46 am and is filed under Newsletter. You can follow any responses to this entry through the RSS 2.0 feed. You can skip to the end and leave a response. Pinging is currently not allowed.